Eluga Mark 2 has 5.5inch HD IPS On-Cell display protected with 2.5D curved and Scratch Proof Japanese Asahi Dragontrail Glass layer on top of it. It is powered by a 64Bit 1.3GHz Octa-core MediaTek MT6753 Processor. This is a 4G Dual SIM (Micro+Nano) VoLTE supported smartphone. The Panasonic Eluga Mark 2’s full metal body design, that is made of aircraft grade aluminum. It provides Eluga Mark-2 a premium looking Smartphone with nice finish and strong build quality. This metal build adds to the beauty of the phone and it also makes it durable and strong. Eluga Mark 2 Smartphone has 5.5inches HD IPS 2.5D curved Touch Focus Display with Asahi Dragon Trail Glass Scratch Resistant Layer on top of it that makes Eluga Mark 2 that smooth feels as well as super tough with Japanese Asahi Dragon Trail Glass on top of its Display. It enhances Gaming – Surfing and Movie watching experience with its large, curved and vivid HD IPS strong and smooth display. Panasonic Eluga Mark-2, 4G Dual Sim Dual standby (Micro SIM and Nano SIM)Smartphone that comes with Hybrid Sim Slot feature which means its second Sim slot either can be used as Second Sim Slot or a MicroSD Card Slot. 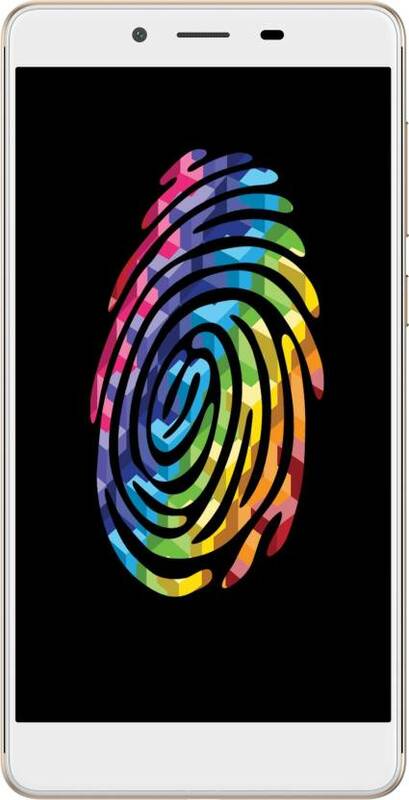 Eluga Mark-2 is powered by a 64Bit 1.3 GHz Octa Core WorldMode 4G LTE processor. Panasonic provides 3GB of RAM and 32 GB onboard storage capacity in it that can be expanded up to 128 GB to store movies – videos – apps – games and user data at large. Panasonic Eluga Mark 2 is also capable to enhance user experience with its smooth multitasking and functioning that allows to use multiple apps at a time without any lag. It also has a 4G VoLTE feature to make crystal clear Internet calls over it. This Smartphone runs on the Android 6.0 Marshmallow operating system and which also helps to improve user experience to access everything with ease. Eluga Mark 2 has 13 MP Autofocus Primary Camera with 5P Lens Element with F/2.2 Aperture speed. It also supports HDR – Beautification – Night Modes etc. The Night Mode allows you to capture clear and crisp images in the Low Lighting conditions or in the Night. And its Fixed-focus 5MP 88 degrees wide angle with F/2.4 Aperture Speed Front Camera is capable to capture smooth clear selfies and even it helps to make video calls with much clarity. It has features like Bluetooth v4.0 – WiFi – 802.11 b/g/n – Wifi Direct – Notification LED – 3G – 4GLTE – GPS – GPRS – EDGE – Quick Charge Support & USB OTG to access and transfer data through PC, Laptop or Pen Drive – 3.5mm Audio Jack – Micro USB charging port and a Fingerprint Sensor on its back panel. It doesn’t support USB Type C charging Port in it. It includes IR Blaster feature to help connect your Phone to your Television or Air Conditioner to control through its inbuilt app. It also supports Multimedia DLNA feature. Sensors included in the Eluga Mark-2 are Ambient Light Sensor E-compass, Gravity Sensor, Infrared Sensor, Proximity Sensor & Fingerprint Sensor which enables Smartphone secures all your important and confidential data, thanks to its Android-for-work security support. This Smartphone is power packed by a 3000 mAh Li-Polymer battery that keeps you going all-day long. Flipkart is set to host a 'Panasonic Phone Fest' on the website from November 23 to 25. During the fest, Flipkart will sell Eluga Note, Eluga Turbo and P66 with Great Deals and Exchange Offers. 10% of additional discount offer will be given to all SBI Credit & Debit Card on these Panasonic the smartphones.